Meirano, Valeria. “Bronze Vessels and Related Instrumenta at Delphi: Remarks on Morphology, Provenance, and Chronology.” In Artistry in Bronze: The Greeks and Their Legacy (XIXth International Congress on Ancient Bronzes), edited by Jens M. Daehner, Kenneth Lapatin, and Ambra Spinelli. Los Angeles: J. Paul Getty Museum; Getty Conservation Institute, 2017. http:​//www.getty.edu​/publications​/artistryinbronze​/vessels​/25-meirano​/. Meirano, Valeria. “Bronze Vessels and Related Instrumenta at Delphi: Remarks on Morphology, Provenance, and Chronology.” Artistry in Bronze: The Greeks and Their Legacy (XIXth International Congress on Ancient Bronzes), edited by Jens M. Daehner et al., J. Paul Getty Museum, Getty Conservation Institute, 2017, www.getty.edu​/publications​/artistryinbronze​/vessels​/25-meirano​/. Accessed D MMM. YYYY. The recent systematic study of the bronze vessels and the related instrumenta retrieved from the sanctuary of Delphi dating from the sixth century BC to Roman times, which is still in progress, offers a fresh look at this extraordinary evidence. Mostly unpublished and never considered in a wide perspective, this corpus of material provides a picture of the presence and circulation of bronze objects in the panhellenic sanctuary, which now can be compared with evidence from other sacred contexts. A general picture of the items attested has now been formed, and aspects related to morphology, style, production, and chronology of bronze vessels and instrumenta can be taken into account. The occurrence and reiteration of specific objects allows us to understand offering choices and the ritual practices performed in the sacred area. Remarks about the provenance of some bronzes contribute to our knowledge of who attended the sanctuary and how objects circulated. This approach toward exploration and the recording of data—aiming for the grand sweep of history and emphasizing rare treasures while discounting or ignoring smaller, more common artifacts—was widespread at the time and absolutely the norm in the nineteenth century. It inevitably caused the loss of a considerable number of pieces and of a wide body of information regarding the specific, original contexts and depositional conditions from which objects were retrieved. This paucity of information also concerns the association with other anathemata. It has hampered our understanding of various aspects related to the presence and use of these items in the sanctuary—for example, the crucial distinction between offerings and ritual devices—and made it difficult to identify assemblages of objects related to specific religious practices performed in the sacred area. Despite this progress, the vessels and the related instruments dating from Archaic to Roman times remained mostly unpublished, apart from some selective or preliminary studies. The aim of my work, which is still ongoing, is to put these disiecta membra and unpublished pieces in a wider perspective and to contribute to the understanding of offering choices, ritual practices performed in the sacred place, and the circulation of the metal objects. Given the space constraints of this volume, I will expand only on some aspects of this broad topic. In light of the recent systematic survey, it is noteworthy that the dossier concerning the bronze vessels is meager compared with evidence coming from other contexts, for example Olympia and the Athenian acropolis, which is now the subject of reappraisal.12 The melting down of artifacts and the poor preservation of bronze due to the soil conditions at Delphi13 surely played a role in conservation (or lack thereof) and in determining the selection of the pieces to retrieve from the ground during past excavations. As previously stated, contextualization is problematic at Delphi, but nevertheless it rewards study. Although the majority of the finds of known provenance come from the sanctuaries of Apollo and Athena at Marmaria, some evidence was retrieved from funerary and domestic contexts as well. In general, the number of bronze vases and instruments dramatically decreases starting from the fourth century BC. Among the pieces of known provenance, the Hellenistic and later ones mainly come from profane contexts, a sign of the progressive change in ritual practice and offering strategies. Open shapes are predominant. Among them we find the drinking vessels and the libation vases par excellence, phialai mesompaloi, both in the “plain” and in the “lotus-bowl” versions, together with large, deep bowls (fig. 25.3). Kantharoi, kylikes, and other handled cups, skyphoi, and mugs are far less attested, while handles are the only surviving parts of paterae. Various types of large and medium-sized basins are widely documented, as well as deinoi with their characteristic profile. I could identify the presence of at least two fragments pertaining to basins with embossed rims, a shape that was not attested previously at Delphi.18 These vessels provide clues to the attendance at the sanctuary, or rather to the circulation of bronze objects. The shape of these basins is of certain Etruscan origin and the majority of the specimens known so far come from the Tyrrhenian area and from the central Italian peninsula. Nevertheless, the vessel type is widely documented, from the barbarian contexts of central-western Europe to central-eastern Mediterranean. In Greece, these basins are definitely rare and occur in only a few sites, namely sanctuaries, including Olympia.19 In the last few decades, the version bearing a single row of bosses—like the specimens attested at Delphi—has been noticed in eastern Sicily, where these vessels mainly occur in graves as funerary receptacles:20 the proposal of local production has been advanced, based on technical and morphological features. In Southern Italy as well, the discovery of a homogeneous group of basins of this type in Greek contexts—mostly coming from the sanctuary of Scrimbia at Hipponion in southern Calabria21—showing close affinities with the Sicilian group, corroborates the hypothesis of a western Greek manufacture inspired by Etruscan prototypes. Technical details would in some cases support the Greek colonial provenance of some of the basins found in Greece. In the case of the fragments from Delphi, which do not preserve their entire profile, it would be difficult to ascertain their origin, apart from their western provenance: a south Italian or Sicilian production remains conjectural, though highly probable. A few pieces attest to the presence of small forms like pyxides, bombylioi, bottles, and aryballoi, among which are also bronze disk rims that attached to small vases of perishable material, and one rare figured specimen in the shape of a tortoise. As expected, the number of handles is large. Some are figured specimens with stylistic features that significantly contribute to the identification of production areas and to the definition of circulation dynamics of bronze objects. The various types of attested vertical handles suggest a wider range of closed shapes in comparison to what is documented by other morphological forms (fig. 25.4). 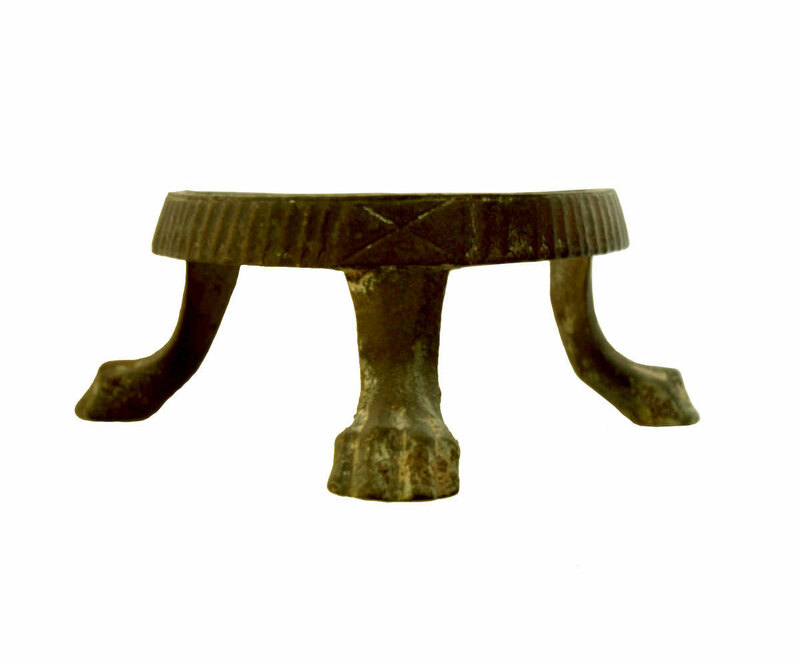 Refined horizontal handles, sometimes with decorative elements, as well as figured appliqués, support the presence of large vases like podanipteres or kraters, which are also possibly echoed by fragments of stands with lion paws.25 Some small tripods were connected to exaleiptra and to other small or miniature shapes (figs. 25.5a-b). 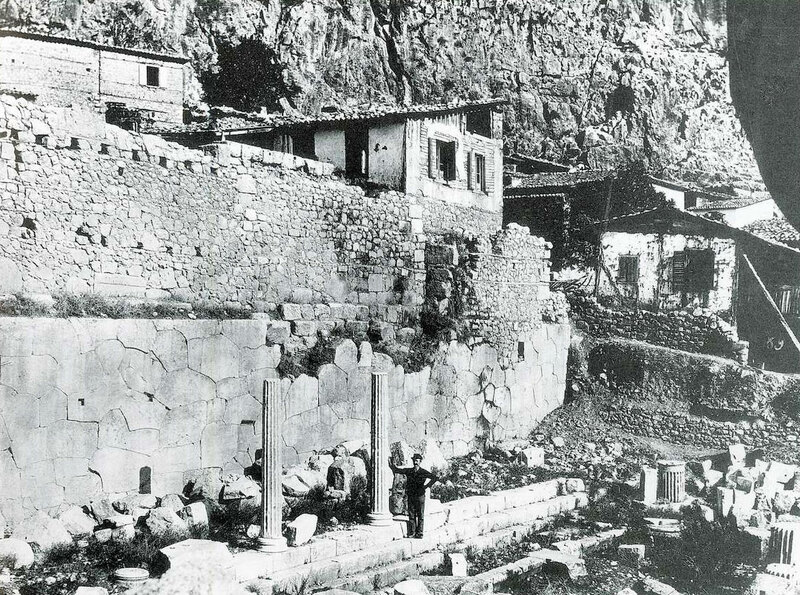 The research on metal vessels and related instrumenta at Delphi is conducted in the frame of the Contrat Quinquennal of the École Française d’Athènes under the auspices of the local Ephoria. I would also like to acknowledge the Alexander S. Onassis Public Benefit Foundation in Athens and the Scuola Archeologica Italiana di Atene for their support and the research facilities provided. Albanese, R. M. 1979. “Bacini bronzei con orlo perlato del Museo Archeologico di Siracusa.” BdA: 1–20. Albanese Procelli, R. M. 1980–81. “Intervento.” Kokalos 26–27: 139–48. Albanese Procelli, R. M. 1985. “Considerazioni sulla distribuzione dei bacini bronzei in area tirrenica e in Sicilia.” In Il commercio etrusco arcaico: Atti dell’incontro di studio, Salerno 5–7 dicembre 1983 (QArchEtr 9), 179–206. Rome: CNR. Aurigny, H. 2010. “Delphes au VIIe siècle.” In La Méditerranée au VIIe siècle av. J.-C.: Essais d’analyses archéologiques (Travaux de la maison René Ginouvès 7), ed. R. Etienne, 234–49. Paris: de Boccard. Aurigny, H. 2011. “Le sanctuaire de Delphes et ses relations extérieures au VIIème siècle av J.-C.: Le témoignage des offrandes.” In Delphes, sa cité, sa région, ses relations internationales: Actes de la Table Ronde organisée les 24 et 25 septembre 2010 (Pallas: Revue d’études antiques 87), ed. J. M. Luce, 151–68. Toulouse: Presses Universitaire du Mirail. Baitinger, H. 2013. Sizilisch-Unteritalische Funde in Griechischen Heiligtümern: Ein Beitrag zu den Votivsitten in Griechenland in spätgeometrischer und archaïscher Zeit. Mainz: Verlag des Römisch-Germanischen Zentralmuseums. École Française d’Athènes. 1991. Guide de Delphes: Le Musée. Paris: de Boccard. École Française d’Athènes. 1992. La redécouverte de Delphes. Paris: de Boccard. Frielinghaus, H. 2006. “Deliberate Damage to Bronze Votives in Olympia during Archaic and Early Classical Times.” In Common Ground: Archaeology, Art, Science and Humanities, Proceedings of the XVIth International Congress of Classical Archaeology, Boston, August 23–26, 2003, ed. C. C. Mattusch, A. A. Donohue, and A. Brauer, 36–38. Oxford: Oxbow Books. Frielinghaus, H. 2007. “Die Helme von Delphi.” BCH 131: 139–85. Frielinghaus, H. 2011. Die Helme von Olympia: Ein Beitrag zu Waffenweihungen in Griechischen Heiligtümern. Olympische Forschungen 33. Berlin and New York: de Gruyter. Graells i Fabregat, R. 2016. “Destruction of Votive Offerings in Greek Sanctuaries: The Case of the Cuirasses of Olympia.” In Materielle Kultur und Identität im Spannungsfeld zwischen mediterraner Welt und Mitteleuropa: Akten der Internationalen Tagung am Römisch-Germanischen Zentralmuseum, Mainz, 22.–24. Oktober 2014, ed. H. Baitinger, 149–60. Mainz: Verlag des Römisch-Germanischen Zentralmuseums. Hansen, E. 1960. “Les abords du trésor de Siphnos à Delphes.” BCH 84: 387–433. Jacquemin, A. 1992. “En feuilletant le Journal de la Grande Fouille.” In École Française d’Athènes 1992, 149–79. La Genière, J. de, ed. 2014. Le cratère à volutes: Destinations d’un vase de prestige entre Grecs et non-Grecs: Actes du Colloque international du Corpus Vasorum Antiquorum, Paris, 26–27 octobre 2012. Cahiers du Corpus vasorum antiquorum (France) 2. Paris: de Boccard. Luce, J.-M., ed. 2008. L’aire du Pilier des Rhodiens (fouille 1990–1992) à la frontière du profane et du sacré. Fouilles de Delphes 2; Topographie et architecture 13. Athènes-Paris: de Boccard. Magou, E., M. Pernot, and C. Rolley. 1991. 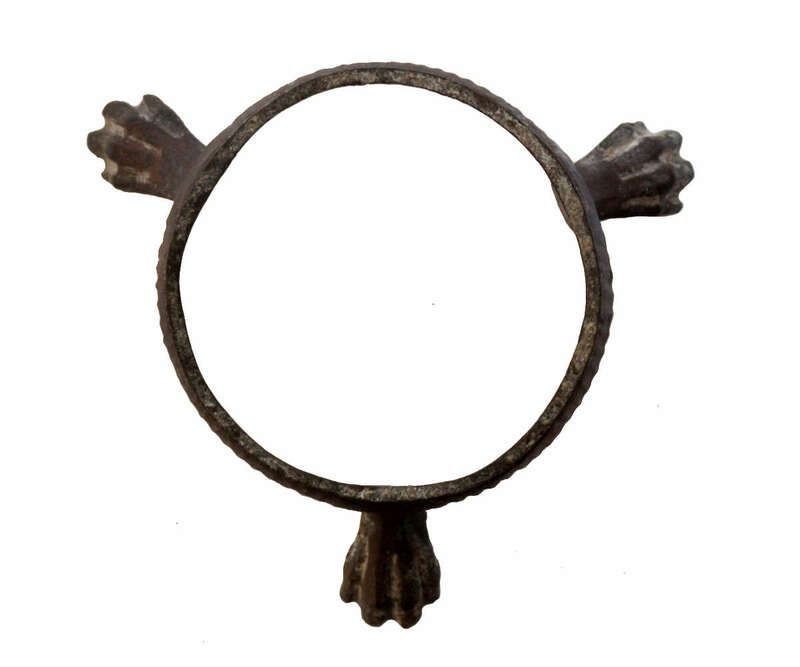 “Bronzes orientaux et orientalisants: Analyses complémentaires.” BCH 115: 560–77. Masson, O., and C. Rolley. 1971. “Un bronze de Delphes à inscription chypriote syllabique.” BCH 95: 295–304. Meirano, V. 2002. “Utensil stands da Locri Epizefiri: Nuovi dati dalla necropoli di Lucifero e dal santuario di Mannella.” In I Bronzi antichi: produzione e tecnologia: Atti del XV Congresso Internazionale sui Bronzi Antichi, Grado-Aquileia 22–26 maggio 2001, ed. A. Giumlia Mair, 117–26. Montagnac: Éditions Monique Mergoil. Meirano, V. 2004. 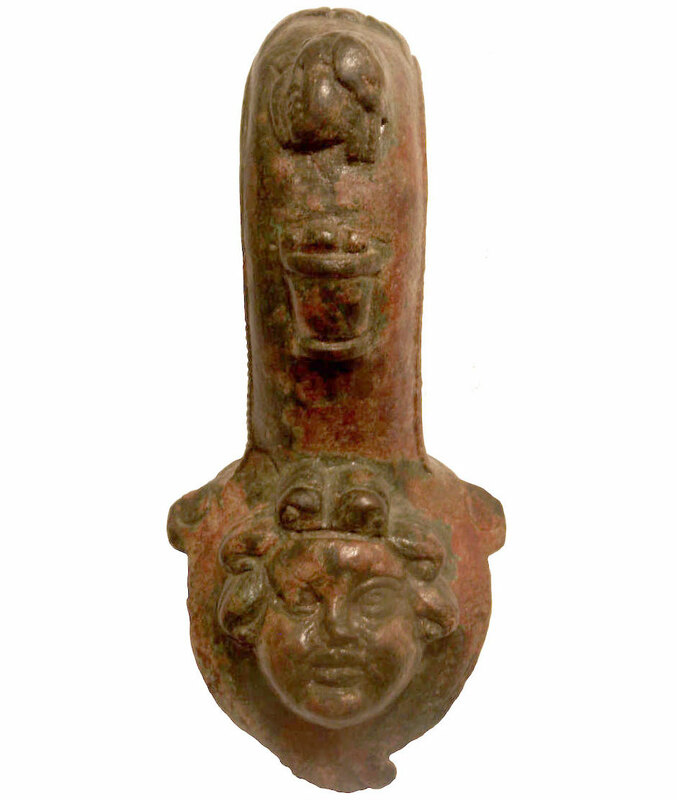 “Bacili ad orlo perlinato: nuovi dati dai contesti sacri della Calabria meridionale.” In The Antique Bronzes: Typology, Chronology and Authenticity: Acta of the 16th International Congress on Antique Bronzes, Bucharest, May 26th–31st, 2003, ed. C. Muşeteanu, 305–17. Bucharest: Editura Cetatea de Scaun. Meirano, V. 2005. “Vasellame ed instrumentum metallico nei santuari di Locri/Mannella, Hipponion/Scrimbia e Medma/Calderazzo.” In Lo spazio del rito: Santuari e culti in Italia meridionale tra indigeni e Greci: Atti delle giornate di studio, Matera 28–29/6/2002, ed. M. L. Nava and M. Osanna (Siris: Studi e ricerche della Scuola di Specializzaizone in Beni archeologici di Matera, Suppl. 1), 43–53. Meirano V. 2012. “Contributo alla conoscenza del vasellame bronzeo di età arcaica in Calabria meridionale: I bacili ad orlo perlinato.” In Vincenzo Nusdeo sulle tracce della storia: Studi in onore di Vincenzo Nusdeo nel decennale della scomparsa, ed. M. D’Andrea, 93–107. Vibo Valentia: AdHoc Edizioni. Meirano, V. 2014. “Vasi, strumenti e altri oggetti: Offerte in metallo e pratiche rituali nei santuari greci della Calabria meridionale.” In Le spose e gli eroi: Offerte in bronzo e in ferro dai santuari e dalle necropoli della Calabria greca, ed. M. T. Iannelli and C. Sabbione, 32–38. Vibo Valentia: AdHoc Edizioni. Meirano, V. 2016. “Bronze phialai mesomphaloi in Context: Some Recent and Older (Revisited) Case-studies.” In Greek and Roman Bronzes from the Eastern Mediterranean: Acta of the XVIIth International Congress on Ancient Bronzes, Izmir (Turkey) 2016, ed. A. Giumlia Mair and C. C. Mattusch, 79–86. Autun: Editions Mergoil. Meirano, V. Forthcoming. “Étude des vases en métal et des instruments apparentés de Delphes, du VIème s. av. n. è. à l’époque romaine: Rapport 2014–2015.” BCH 139–40.2. Meirano, V. Forthcoming. “Bassins à rebord perlé à Delphes.” In preparation. Perdrizet, P. 1908. Monuments figurés, petits bronzes, terres cuites, antiquités diverses. Fouilles de Delphes 5; Monuments figurés 1. Paris: Albert Fontemoing. Rolley, C. 1969. Le statuettes de bronze. Fouilles de Delphes 5; Monuments figurés 2. Paris: de Boccard. Rolley, C. 1977. Les trépieds à cuve clouée. Fouilles de Delphes 5; Monuments figurés 3. Paris: de Boccard. Rolley, C. 1991. 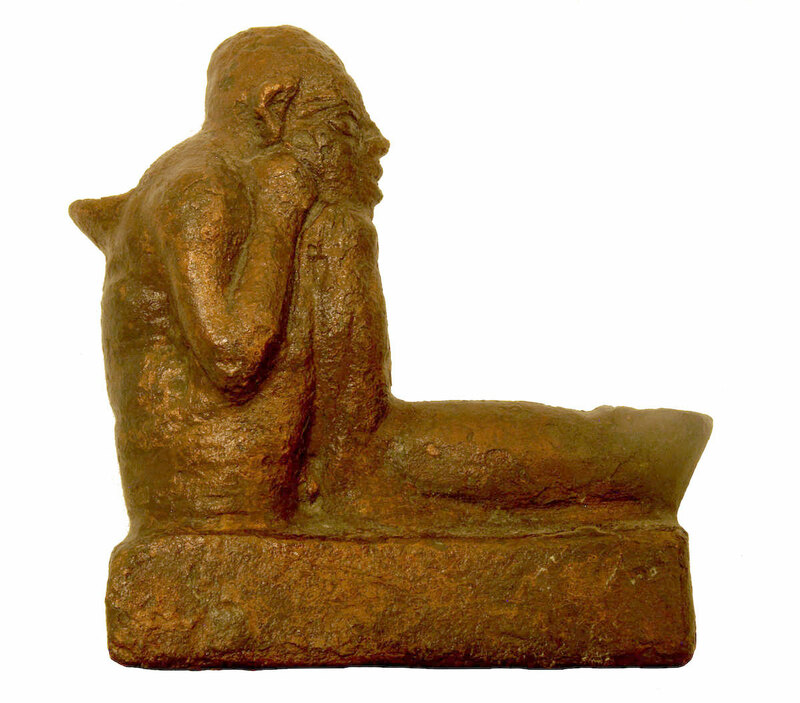 “Les bronzes: Statuettes et objets divers.” In Guide de Delphes: Le Musée, 139–79. Paris: École Française d’Athènes. Rolley, C. 1991. 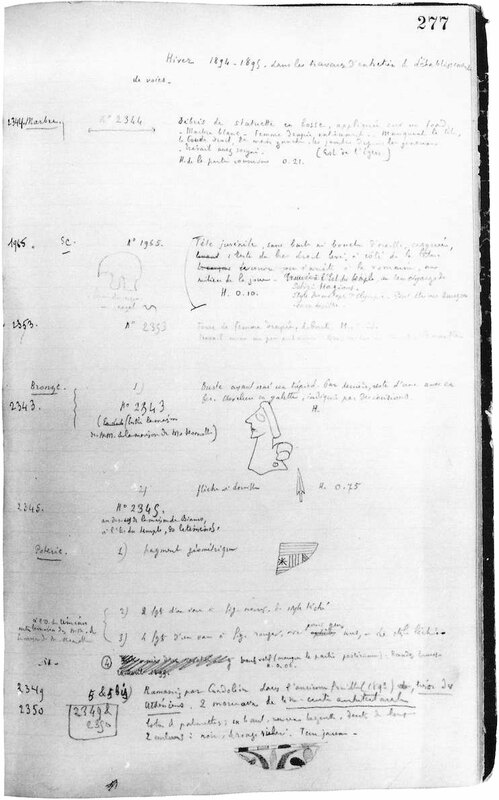 “Statues de bronze: fragments divers.” In Guide de Delphes: Le Musée, 187–89. Paris: École Française d’Athènes. Rolley, C. 1999. “Delphes: Les bronzes.” BCH 123: 465–67. Rolley, C. 2002. “Le travail du bronze à Delphes.” BCH 126: 41–54. Rolley, C., ed. 2003. La tombe princière de Vix. Paris: Picard. Rolley, C., and G. Rougemont. 1973. “Sondage à l’Est du sanctuaire d’Apollon: Catalogue des objets en métal.” BCH 97: 512–25. Siganidou, M. 1979. “Western Macedonia.” In Treasures of Ancient Macedonia, ed. K. Ninou, 38–47. Athens: Archaeological Museum of Thessalonike. Tarditi, C. 2016. “The Athenian Archaic Bronze Vessel Production: New Evidence from Old Excavations.” In Greek and Roman Bronzes from the Eastern Mediterranean: Acta of the XVIIth International Congress on Ancient Bronzes, Izmir, ed. A. Giumlia Mair and C. C. Mattusch, 49–58. Autun: Editions Mergoil. Tarditi, C. 2016. 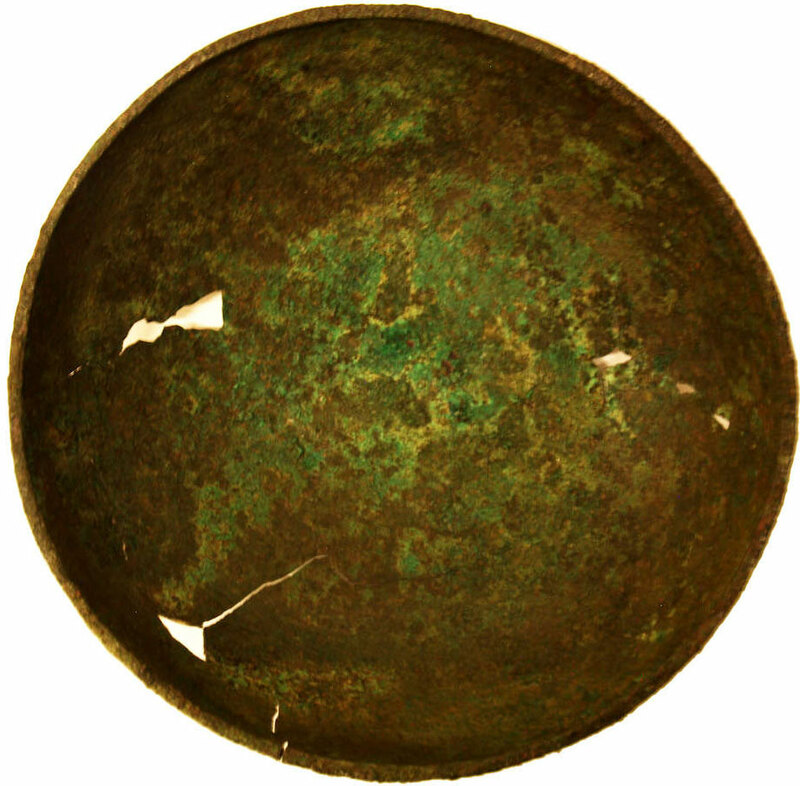 Bronze Vessels from the Acropolis: Style and Decoration in Athenian Production between the Sixth and Fifth Centuries BC. Rome: Edizioni Quasar.